Take your afternoon tea in this Edwardian Era sitting room. Photo courtesy of the Savoy. 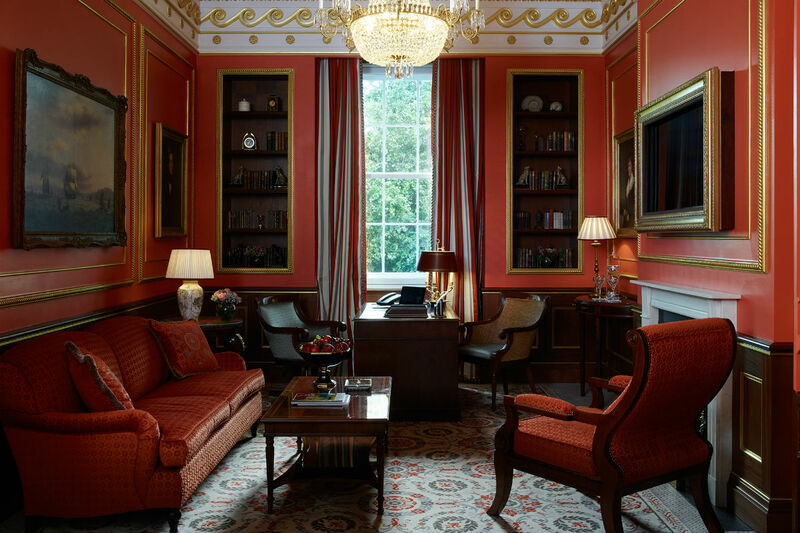 Hotel maven Christina Ohly fills us in on London suites fit for the queen. 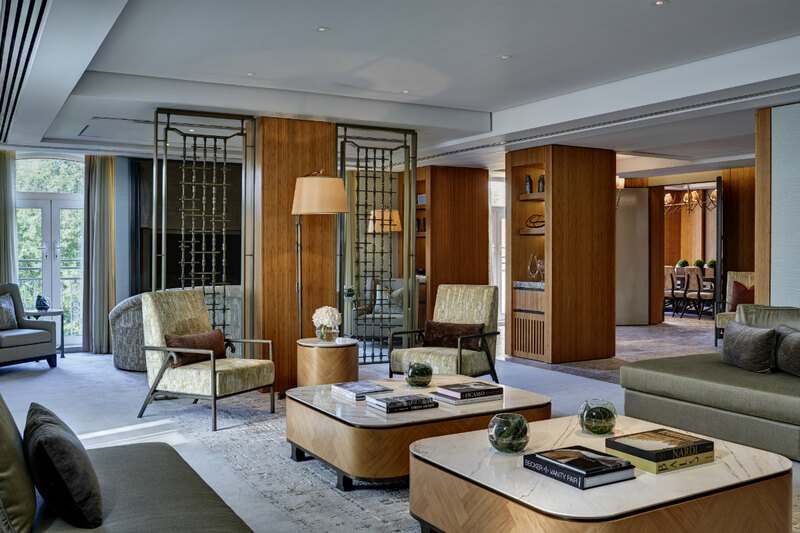 LONDON – Whether you're traveling with a large posse or just want to live like a potentate, book one of these sprawling, amenity-laden suites at London's top hotels for a stay to remember. Bring your checkbook — or preferably someone else's. 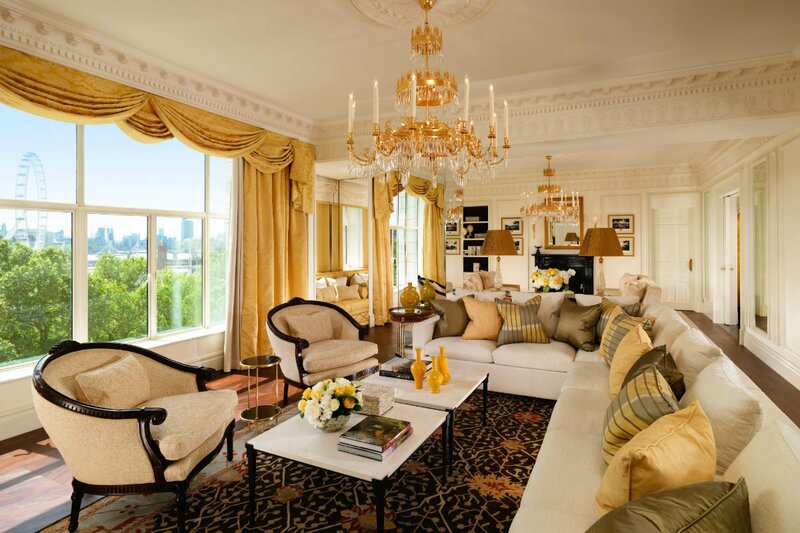 Photo courtesy of The Connaught. 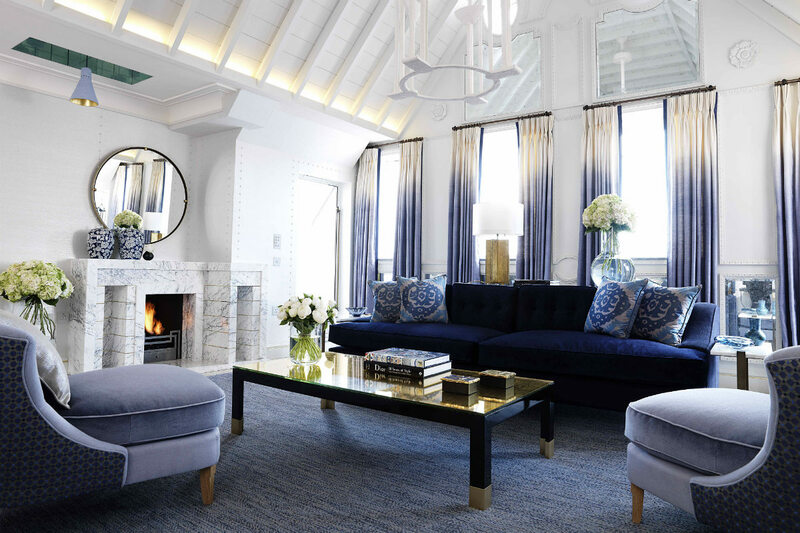 The Digs: Situated on the hotel's top floor and designed by David Collins Studio, the stately study in soothing blue tones has a working wood-burning marble fireplace, a double-height sitting room, and a vast library. The Wow Factor: Michelin-star chef Hélène Darroze will create menus for your bespoke, in-room dinner party. USP: The Champagne Room downstairs and the ability to have the best fashions – Lanvin, Balenciaga, Christian Louboutin – placed in your dressing room prior to arrival are all es. 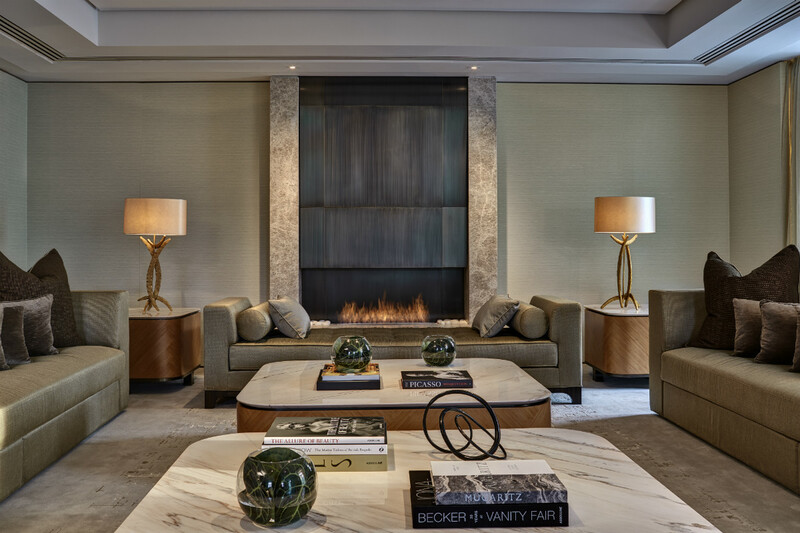 Photo courtesy of Rosewood Hotels. The Digs: A 1,991 square foot Zen sanctuary designed by Tony Chi. It’s about light-filled sitting spaces, neutral finishes, king-sized beds with Rivolta Carmignani Italian linens, and a dedicated champagne fridge. 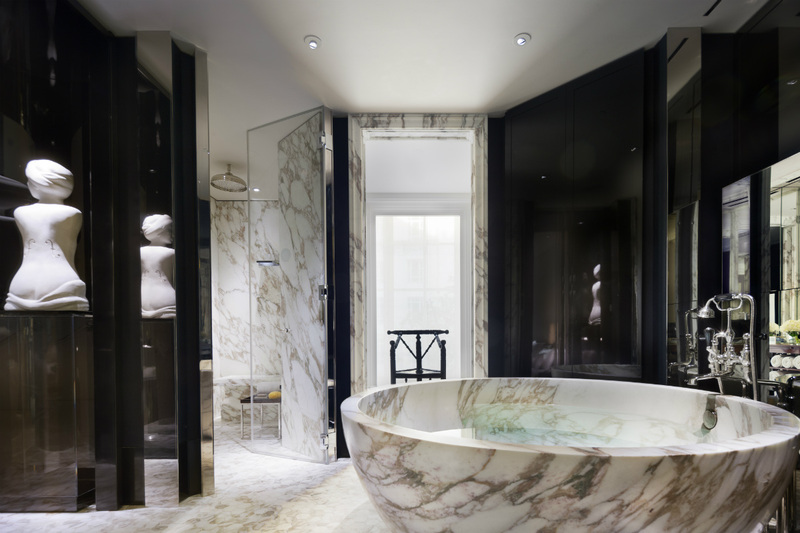 Wow Factors: The suite can be booked with five adjoining rooms to create an entire Grand Manor House Wing, with a private entrance on High Holborn. 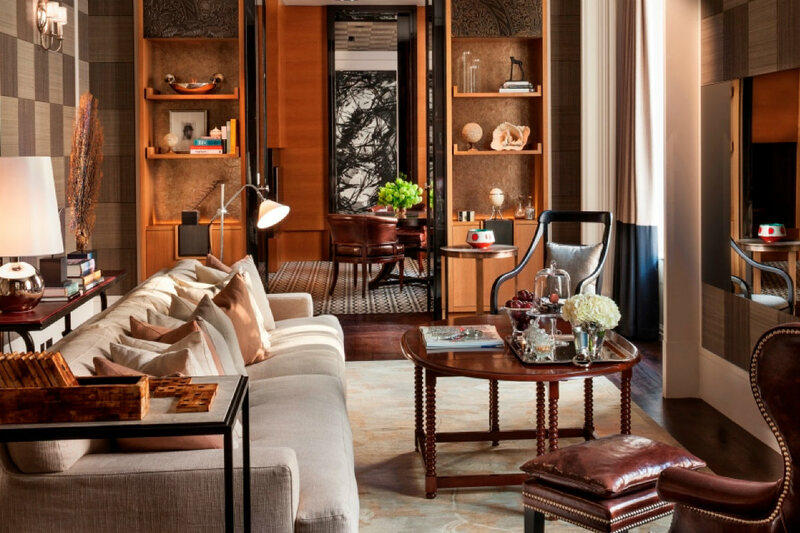 USP: The sprawling, sumptuous suite has its own post code. The Digs: Seven resplendent bedrooms spread across 4,800 square feet make this one of the most lavish setups in town. 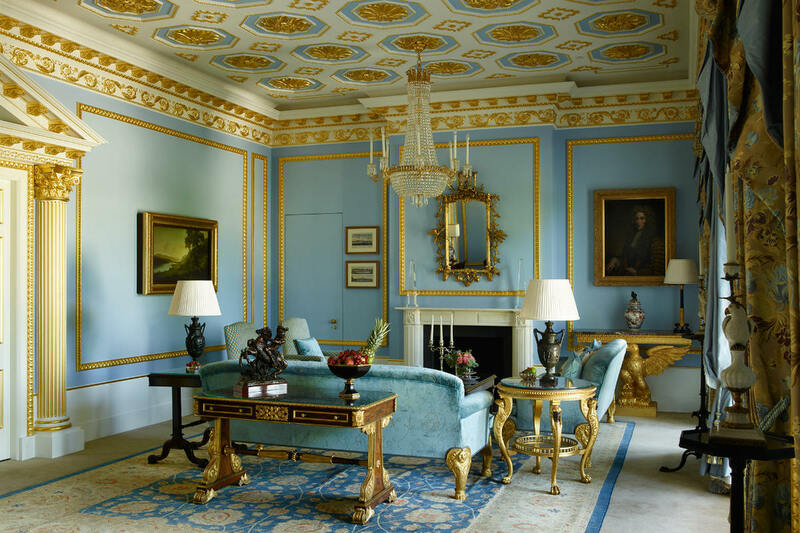 Two Albert Pinto-designed sitting rooms with floor-to-ceiling windows afford views of Wellington Arch and Buckingham Palace Gardens. The Wow Factors: 24-hour butler service, a private entrance, a dedicated Rolls Royce, and endless amounts of marble and gilt make this a stunner fit for Louis XIV. USP: The hotel's Library Bar is one of London's best spots to sip rare cognacs, while restaurant Celeste offers a sublime tasting menu designed by Michelin-star chef Eric Freshen. Photo courtesy of The Savoy. The Digs: The two-bedroom suite overlooking the Thames has a rotating contemporary art program, so you don't even need to leave for your culture fix. 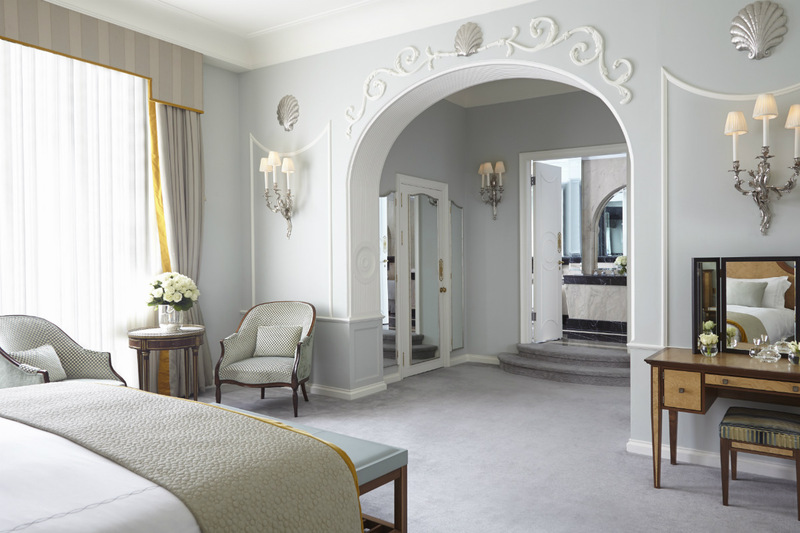 Opened in spring 2016, the digs have soothing, cream-colored interiors by Pierre-Yves Rochon,and Edwardian furnishings that evoke the hotel's rich history. 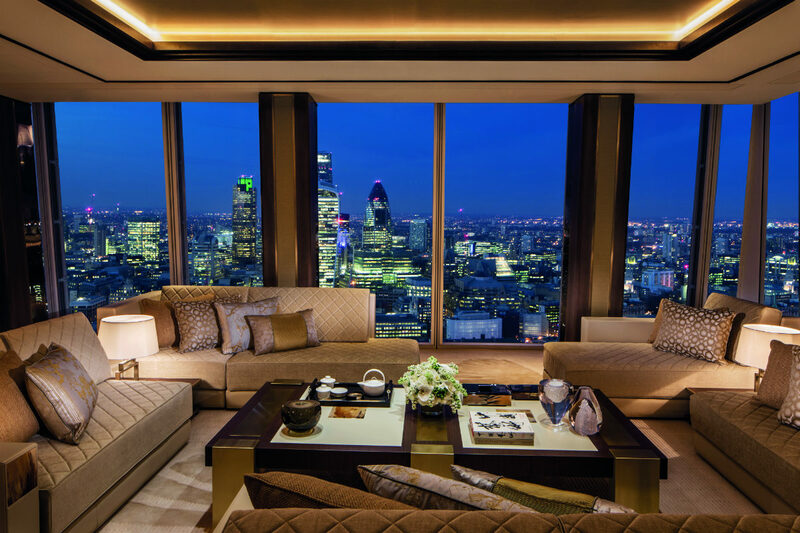 The Wow Factor: The views of the river and London's iconic landmarks are stunning. This was the vista that inspired Claude Monet to paint his series of London bridges, which he completed during his three long-term stays in the suite between 1899 and 1901. USP: The 24-hour butler service is unrivaled, as are the delicious dry martinis in the Art Deco-inspired American Bar. Photo courtesy of COMO Metropolitan London. 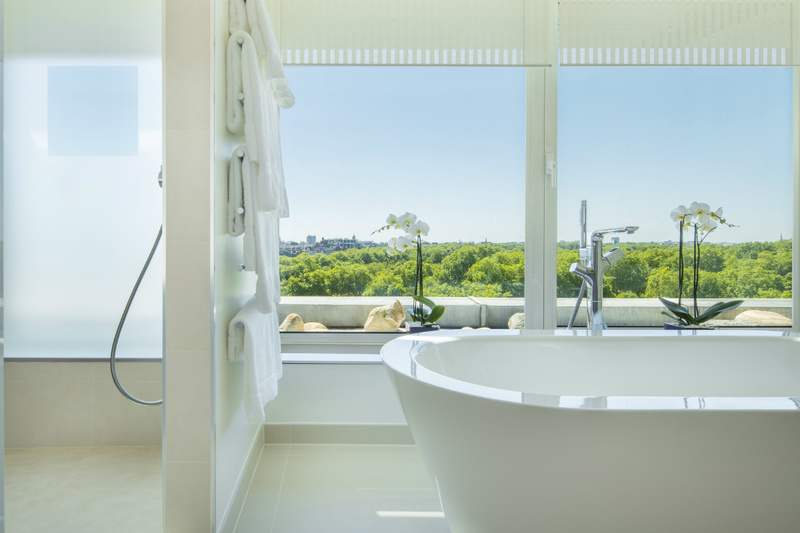 The Digs: Completely renovated in 2015, this spacious accommodation has floor-to-ceiling views of Hyde Park, even from the bathroom. For anyone in search of a peaceful, zen aesthetic (think light oak floors and neutral textiles), the sleek COMO outpost delivers. The Wow Factors: A sitting room, pantry, and dining area that are big enough for a family of four make for the perfect jumping-off point for London sightseeing, meetings in Mayfair, or quiet meals in Shepherd's Mews just behind the hotel. USP: Nobu downstairs means signature black cod with miso at all hours. Enough said. Photo courtesy of The Berkeley Hotel. The Digs: A muted green tea palette and original Asian furniture and art by interior designer Andre Fu fill the expansive space. A master bedroom, living room, study, full kitchen, and dining room make this a perfect, no-holds-barred pied-à-terre for an extended stay (or a serious lie-in). 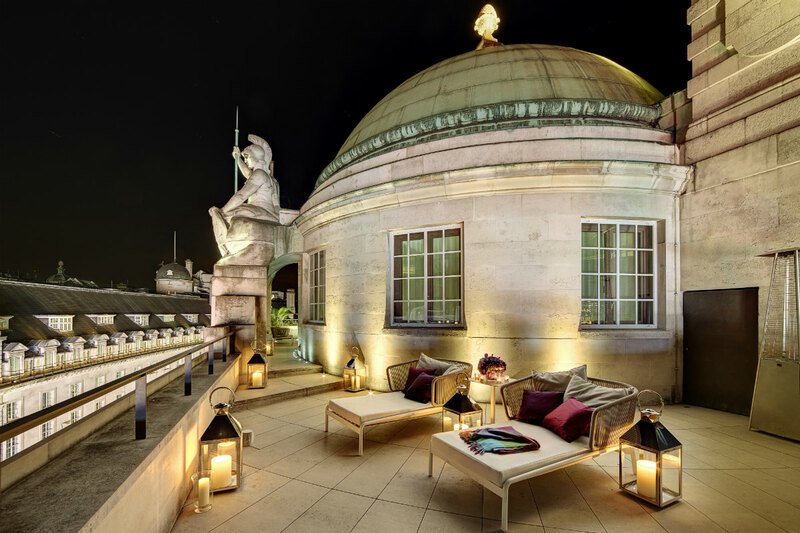 The Wow Factor: The hotel's Blue Bar is still the height of cool, and the spa, with pool overlooking Hyde Park, is destination-worthy. Unique Selling Point: Not one but two Michelin-star chefs, Marcus Wareing and Pierre Koffman, can be booked to prepare their stellar signature dishes en suite for parties of up to ten people. 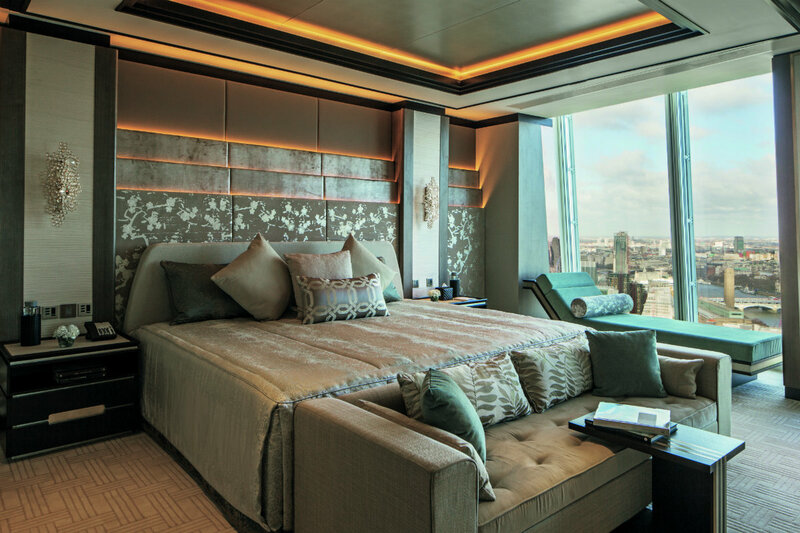 Photo courtesy of the Shangri-La Hotel. The Digs: Set on level 39 of Renzo Piano's iconic skyscraper, the 2,000- square foot suite has it all: custom-made Italian furniture, silk-swathed walls, a dedicated chauffeur, private elevator access, 270-degree views, enormous marble bathrooms with heated floors, Bose sound systems, and spotting telescopes. 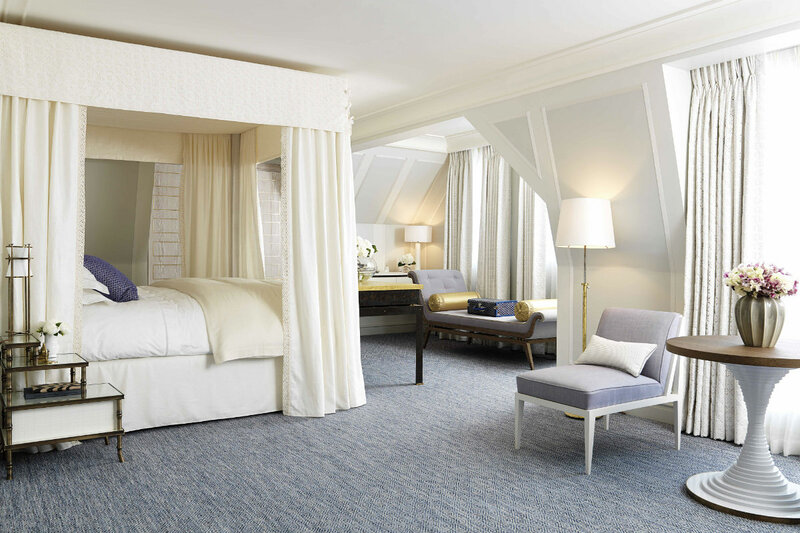 The Wow Factors: The specially designed Shangri-La bed featuring patented body-contouring technology is outfitted with sumptuous 1,000-threadcount Frette linens. USP: Everything is personalized for you, from the stationery to Dine by Design meals prepared in your room's fully stocked kitchen. Photo courtesy of Hotel Café Royal. The Digs: Three bedrooms, two furnished terraces, a living room, and marble dining table that seats six. An oasis of serene splendor. 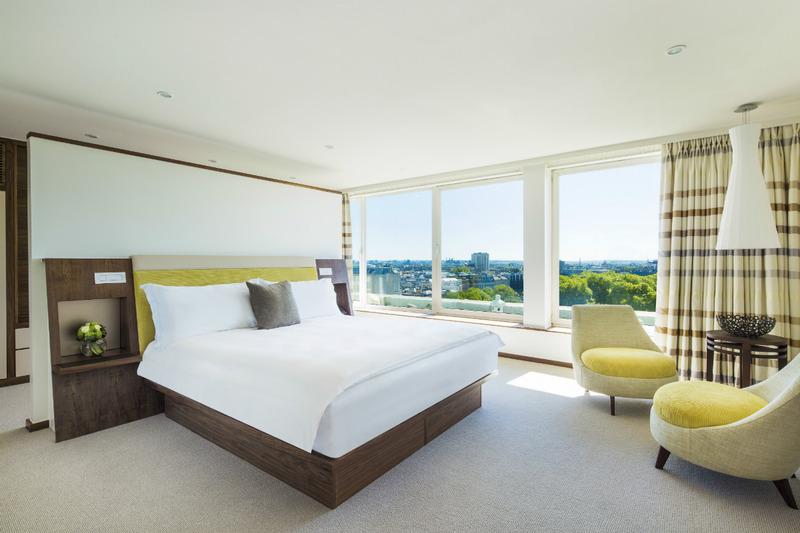 The Wow Factors: The master suite is set beneath the hotel's iconic copper-domed rotunda, and the spacious suite features stunning views of Big Ben, the London Eye, the Houses of Parliament, and the Shard in the distance. 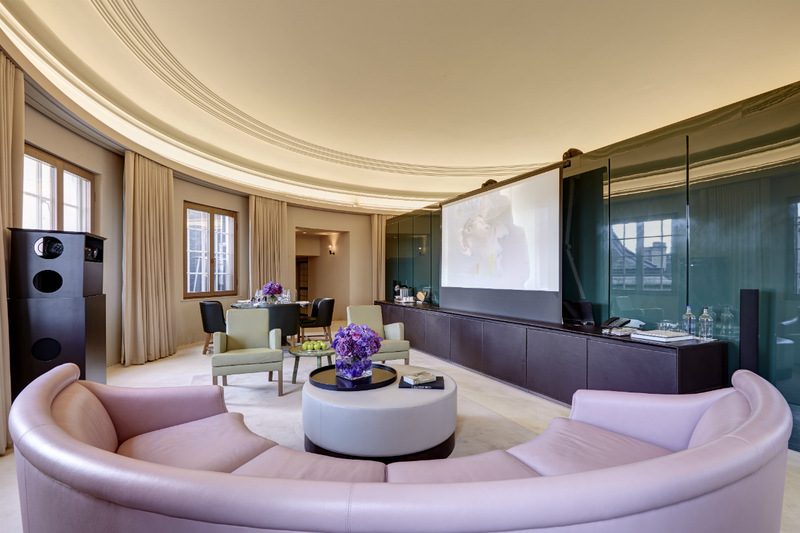 Don't be afraid to use the LED projection system that illuminates the suite's dome. It's guaranteed to get the party started right. USP: Thomas Kochs, the hotel's managing director, is the consummate hotelier/insider, and a person for whom no request is too big or too small. The Digs: Victorian opulence is in full effect in this first floor, two-bedroom suite. 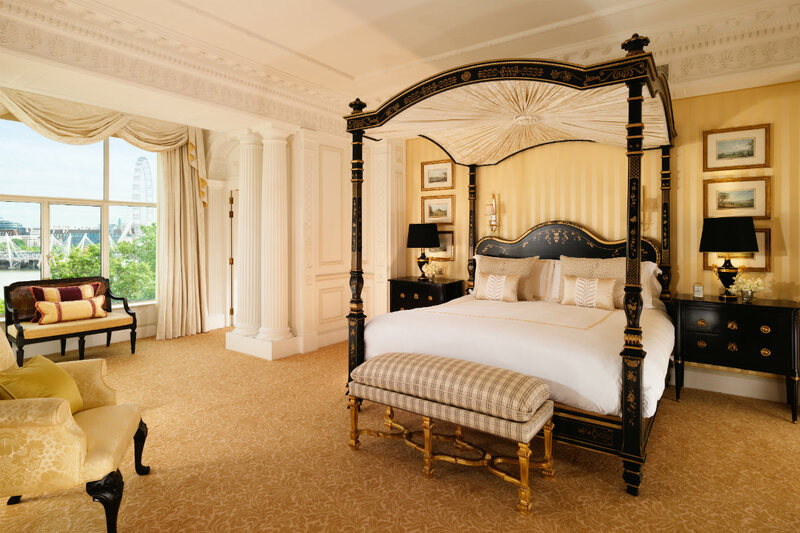 Edwardian furnishings and a piano once owned by Richard D'Oyly Carte, builder of the Savoy, add to the intimate, historic ambience. The Wow Factor: 19th-century French prints line the high-ceilinged dining room, creating a vibe that's Victorian with a sleek edge. USP: Reservations at Fera, the ultimate farm-to-table restaurant downstairs, are easily booked, and the Fumoir remains the sexiest spot for champagne, oysters, and post-theatre conversation in central London.